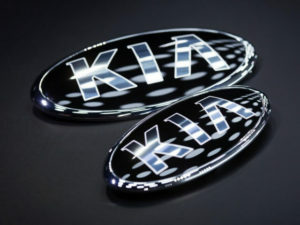 Kia has outlined plans to offer 16 electrified vehicles by 2025, including new hybrids, plug-in hybrids and electric vehicles, as well as an all-new hydrogen fuel-cell electric vehicle (FCEV) in 2020. “By 2025, we will offer a total of 16 advanced powertrain vehicles, with five new hybrids and plug-in hybrids, five new battery EVs, and an all-new mass market FCEV. Due to launch in 2020, this FCEV will spearhead Kia’s efforts to realise a zero-emission future for mobility,” said Dr. Woong-chul Yang, Vice Chairman and Head of Kia R&D Center. To achieve this goal, Kia is adopting what they call its “ACE” strategy, which is based around three core elements: Autonomous, Connected and Eco/Electric. The company aims to commercialise Level 4 autonomous technology, which is due to begin testing in 2021 with a new Smart City pilot project. Additionally, every single Kia model will be a connected car, by 2030, and each vehicle segment will have a connected car by 2025. Kia will also launch their car sharing service WiBLE in certain European markets and cities from late 2018, following its successful debut in Korea last year. The news follows the company’s reveal of the Kia Niro EV concept, which features an official range of 238 miles (likely EPA rated) from a 64kWh lithium-polymer battery, paired to a 201bhp (150kW) electric motor: potentially giving some indication of the forthcoming Kona EV’s drivetrain. The concept also features new safety technology designed for ‘silent’ vehicles – Active Pedestrian Warning System (APWS) detects then warns a specific pedestrian or cyclist crossing in front of the car via speakers sounding an alert to them.